Bilberry (Vaccinam myrtillus L.),is part from Eficaceae family is spread in the Nordic hemisphere, Montana area of Europe, Asia, North America. He prefer places with spruce, starting from the lower limit of spruce, reaching the alpine area. 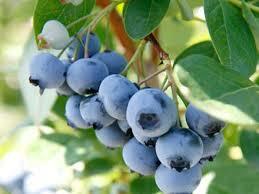 Bilberry is a shrub with superficial root very dense interlaced like a passage bush, without absorbent hair. The stem is very branched, of green color, up to 50 cm. The leaves are alternate, falling, up to 3 cm long, and width up to 2 cm, with short petiole, oval or elliptical limb, acute peak. Flowers are solitary, short pedicles, nuts, showing a persistent calyx with the ovary. The fruit is a dull, blue or almost black with a purple-purple juice, sweet, sour and aromatic taste. Both the leaves and the fruit are used. The leaves, with the rich content of arbutin, are the most valuable product that can be harvested from this species. It also contains sufficient amounts of condensed nucleated tanning compounds. Fruits are edible rich in coloring matter. Can be used fresh, frozen or dried. Fruits of bilberry contain: water, sugars, protein, organic acids, pectin compounds, vitamins (A, P, B, E), mineral salts of potassium, calcium, phosphorus, manganese, etc. The leaves contain: triterpene, oleanolic acid, horseradish acid, beta-amyrina, phytosterols, glucosides, benzoic acid, quinic acid, flavonoids, evercitin free and glucoside, resins, mucilage, mineral salts and sugars. Bilberry leaves are used in the treatment of diarrhea, gastrointestinal, catarrh, as urinary antiseptic and slightly diuretic, as an adjunct in the treatment of diabete. It enters in the composition of the antiscrerous feathers. Bilberry anthocyans have a beneficial effect on microcirculation increase capillary resistance, diminish their permeability, have antihemorrhagic effect on capillary permeability disorders, venereal diseases. It is recommended for diabetic microangiopathy. In ophthalmology, it has a favorable effect on retinal pigment regeneration resulting in increased visual acuity and improvement of hemeralopia. In the fight against diarrhea, are used dry fruits, because the fresh ones have an irritant effect, which cause by the acid ballast which gives them purgative properties. They also have antibacterial action in the gut. In popular medicine the dried fruits or macerated in brandy are used against diarrhea as well as dried branches with leaves, which are used for pain stomach cramps, chest and heart disease. Multiplication of the bilberry can be achieve through rooting the lignified or green and also through seedlings and separating butashi, methods known in agricultural practice. Are planted butashi with roots or parts of old bushes at a distance of 2×1 m in holes of 30x30x30 cm. For each bushes will added 4-5 kg of well fermented manure . The leaves are collected from the end of the July to September. Drying of the leaves can be done through artificial dryers at the temperature of 35-40 degrees Celsius. From 6-9 kg of green branches you can get 1 kg of dried leaves. Leaves are harvested in August. These are detached from the branches by hand or devices in the form of combs, the spaces between the teeth being smaller than their diameter. The cleaning of impurities is usually done by putting them in dishes with water, removing all impurities that float. After they at air-dried, the fruits will be dried further in heated rooms. This entry was posted in Arbuşti, English. Bookmark the permalink.